In this week’s edition of Classic Bouts, we look at Tyson Fury’s first bout on American soil, one that saw him come within a hair of losing his unbeaten record. Last week in Classic Bouts, we took a closer look at Floyd Mayweather’s surgical win over the late Diego Corrales and this week, we take a jump up to the bigger men as heavyweights collide. Tyson Fury’s run towards his eventual title victory against Wladimir Klitschko saw him gradually establish himself as one of the game’s most awkward customers. I mean, how exactly are you supposed to train for a 6-foot-9, rangey and impeccibly awkward fighter like him? It was a question that many of his opponents learned the hard answer to and coming up against Steve Cunningham in his first ever fight on American soil, it was seen as a solid test of both his own championship mettle, and his opponent’s suitability to boxing as a heavyweight. Cunningham held a record of 24-6 going into this one and had been a champion at cruiserweight. Many had wondered how well his power would translate as he came up against the heavier men but as you will soon find out, it did not take him long to answer that question. The 20-0 Fury was seen as the less skilled and technical fighter by many but as a result of his height and the near-40lbs in the difference between the two, his physical advantages were cited as a major, major factor. The predictions for this one were generally skewed ever so slightly in Tyson Fury’s favour but even still, this was a competitive fight on paper – no matter who it was that you asked. The eventual showdown amounted to a real test of Fury’s convictions. Cunningham came in with the speed and power – dropping his opponent with a beautiful overhand in the second-round after enduring a relentless series of taunts from Tyson from the first bell. Fury, to his credit, was able to brush it off and gradually take over as the rounds went on and sure enough, as the seventh round came about, a picture-perfect left-hook landed and Steve Cunningham’s night came to a brutal end. Steve Cunningham managed to bounce back from this defeat with three wins on the trot but following a patchy period that culminated in a unanimous decision loss to Andrew Tabiti on the last August’s Mayweather/McGregor fight-card, he hasn’t fought since. With him at 41-years-old, he’d be forgiven for hanging up his gloves for good but if his recent Twitter activity is to be believed, he most certainly wants to add at least one more win to the 29 that are currently in his back pocket. 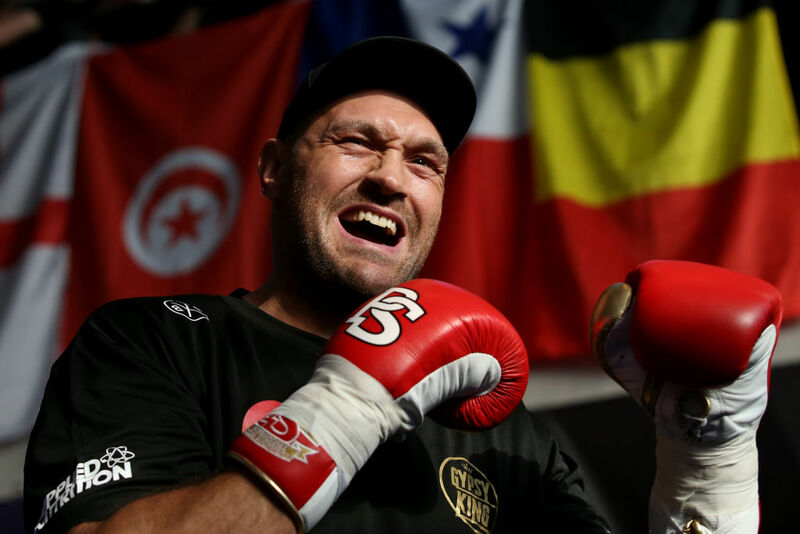 Fury, on the other hand, was sorely missed during his near-thousand-day absence from the sport but with his recent victory over Sefer Seferi, his climb to the top of the mountain once again is in its early stages. Heavyweight seems to be in a fantastic spot for the first time in years and with Deontay Wilder and Anthony Joshua set to clash – the eventual winner could be headed for a potentially legendary showdown with the lineal champ before all is said and done.